My mother Janet Moore was the first elder to volunteer to represent her community and sit on Naut’sa mawt Tribal Council’s Elders Council when it began several years ago. She has represented Halalt on the council since 2016, and is inspired by serving her community. Her traditional name is Hwum’mi’ya, which she shares with her Grand Aunt Josephine Thomas from Esquimalt. 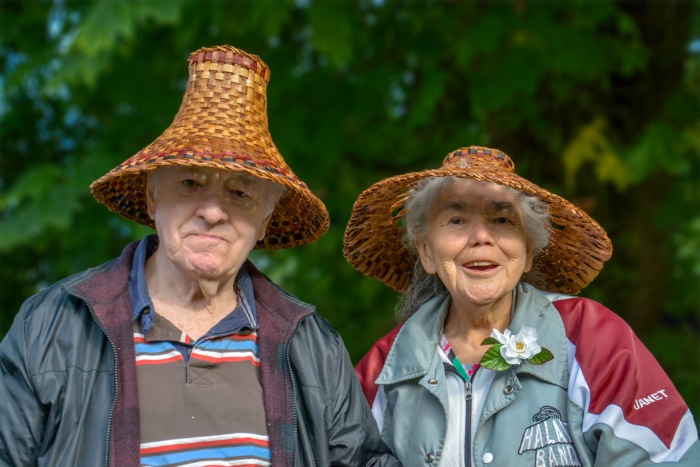 Jan (as she likes to be called) was born in Malahat Nation to Hereditary Chief Christopher Norris and Edith Norris (nee Thorne) of Halalt First Nation. She was raised at Halalt in a small 2-bedroom house with her 15 siblings. They had no running water or plumbing. Gleaning from her mom, she became a skilled knitter and spinner. 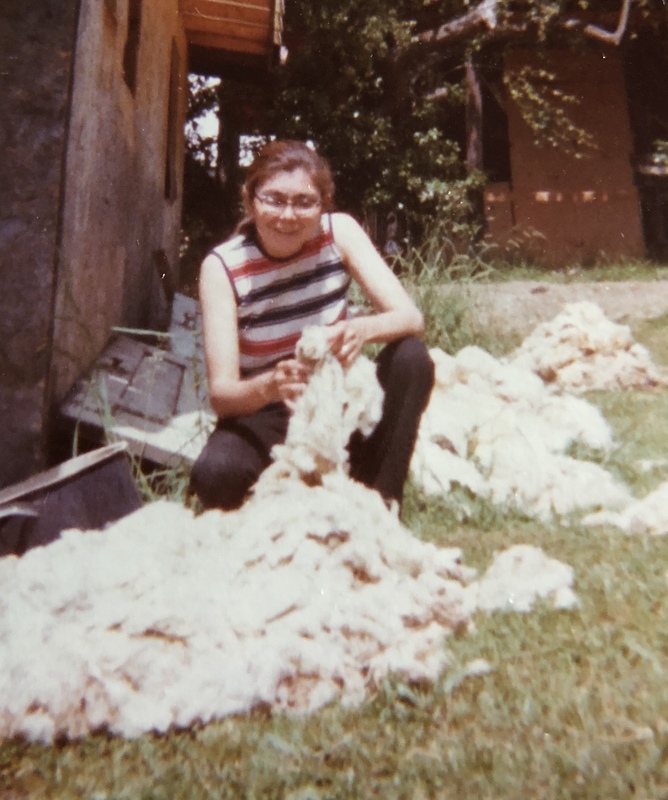 She would take wool right from the farm and spin it into beautiful Cowichan sweaters, vests, toques, mittens, and socks. Hul’qumi’num was the spoken language in Jan’s home throughout her childhood, which led to her working with the Cowichan Tribes to develop the first Hul’qumi’num dictionary. Jan’s newly rekindled passion for her language as well as her love of children, had her working as a Cultural Teaching Assistant in local daycares and elementary schools. It was here she helped write a wonderful traditional cookbook that integrates the Hul’qumi’num language. Jan worked as a live-in Nanny and a care attendant in the Nanaimo Indian Hospital before she settled down as a wife and mother. In 1958, Jan met and fell in love with Les Moore, a minister from England, who happened to be traveling through Canada. It wasn`t long before they started their own family together. Life, along with their three children, became dedicated to sharing and translating Bible teachings. This is just a glimpse into a remarkable woman’s life. One who always has a welcoming food on the table and an open door to people she meets. Her voice at this table with all her experience is priceless, and we want to acknowledge her commitment to being a great role model.